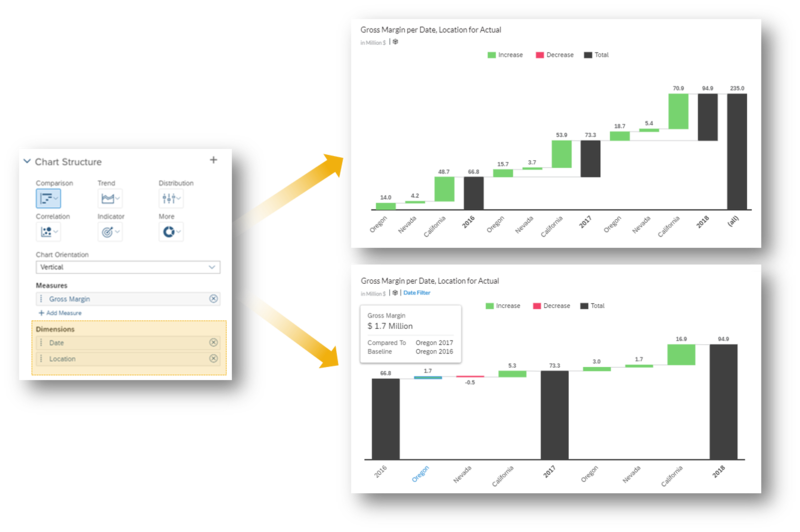 This blog covers some of the latest new features and enhancements in SAP Analytics Cloud and SAP Digital Boardroom release 2018.20. Please note that the Analytics Cloud Help documentation is updated at the same time as the upgrade to this release, so the links here may not yet reflect what is described below until after the upgrade is complete. 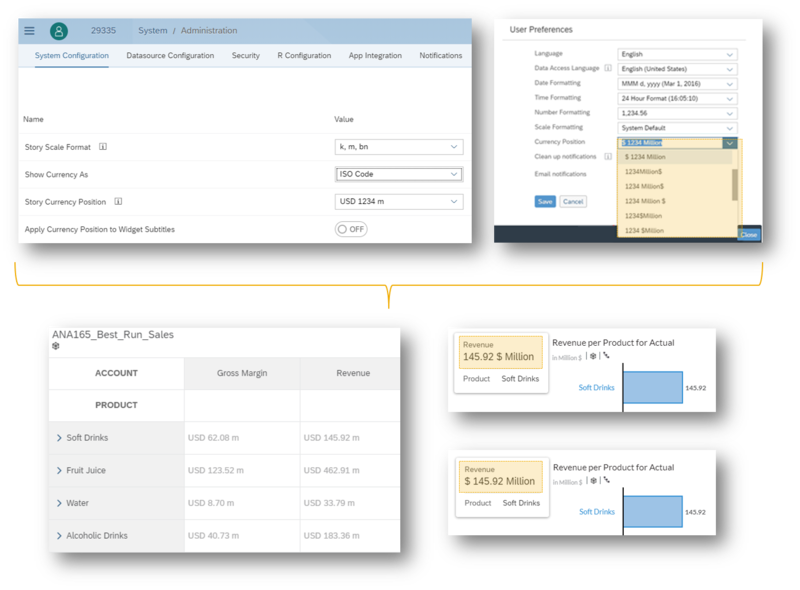 Upgrade your SAP Analytics Cloud agent to the latest agent version 1.0.205 to take advantage of all the data acquisition types! Teamwork makes the dream work, so it’s no wonder that this new feature was heavily requested. 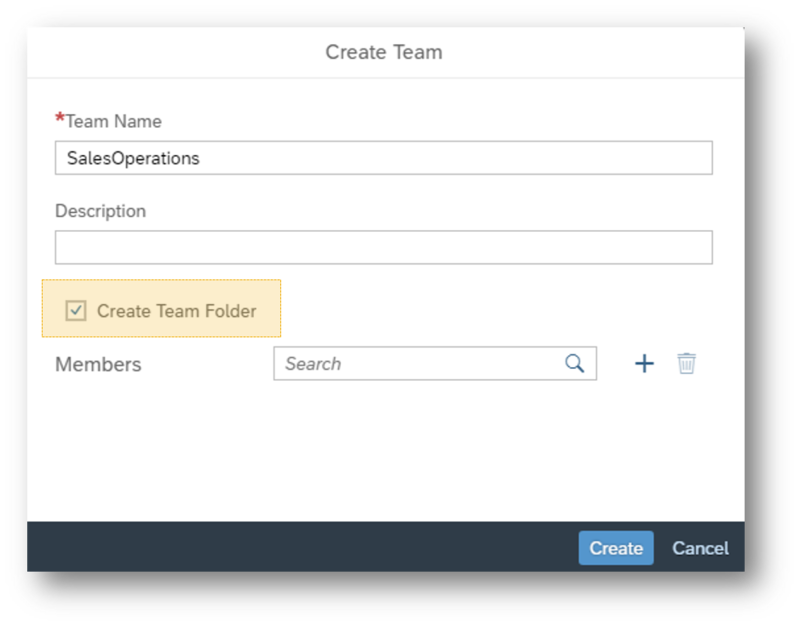 Now, when you create a new team, choose whether a team-specific folder should be created! This feature works especially well for those who use teams to group users for security purposes and/or organize their analytic content in Public folders. With various teams needing access to various folders of content, this will help you stay organized. Please note that if you don’t create the team folder, you won’t be able to add it later unless you delete and recreate the team. Since planning operations that affect multiple currencies are now enabled, we want to make sure you’re alerted when they happen! We send you these messages during these operations because they may have unexpected results when currency conversion is not applied. You’ll see warnings like this for Copy & Paste, Data Entry, Spreading, Distribute, Assign, Data Actions, and Allocation Processes, but the action will still be successfully performed. Simplify what’s available to your eyes! 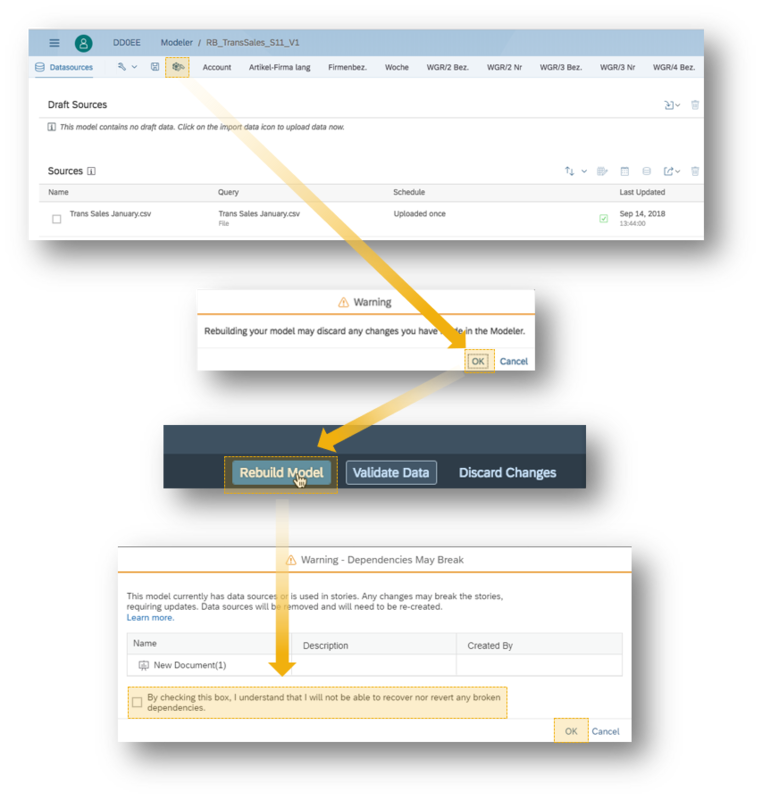 For input tasks, story filters applied to a distribution dimension will affect the number and types of members shown on the Summary page. There are also performance improvements for displaying and managing the distribution dimension. In tables, you can now display the scaling factor in the column or row header instead of in every cell. Clean up the clutter on your calendar! For calendar tasks and processes, you are now able to hide or display the full name of a task in the taskbar. Inverse formulas for accounts that use exception aggregation with dimensions now support data entry when these dimensions are filtered to a single leaf member. 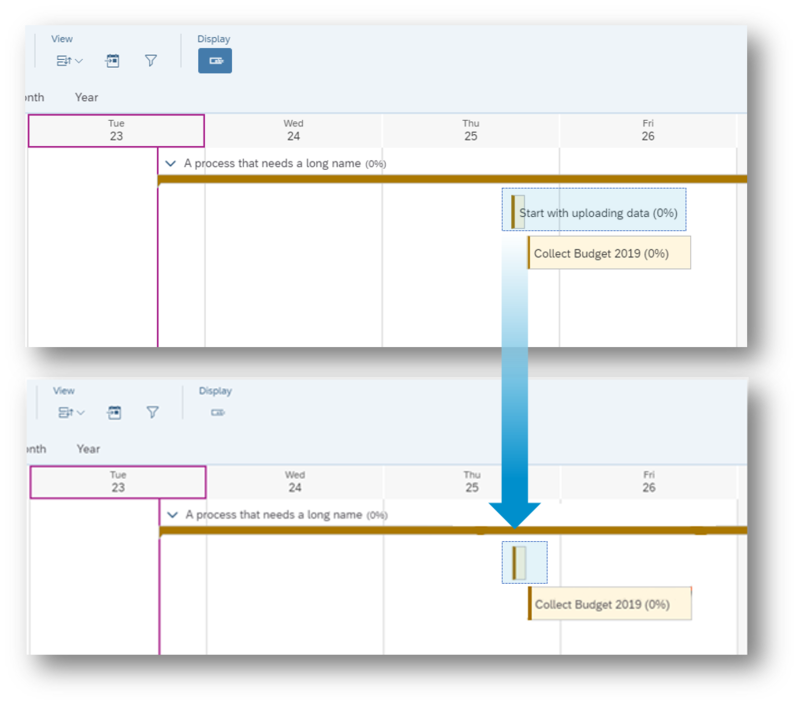 We now support SAP BW dynamic filters in charts and in tables! Meaning that when filter values are used for the initial view of the result set, you can choose to modify these filters in the result. To avoid unwanted user changes, a variable submitted based on a dynamic filter doesn’t overwrite manually filtered widgets. Please note that this feature is unique to BW. 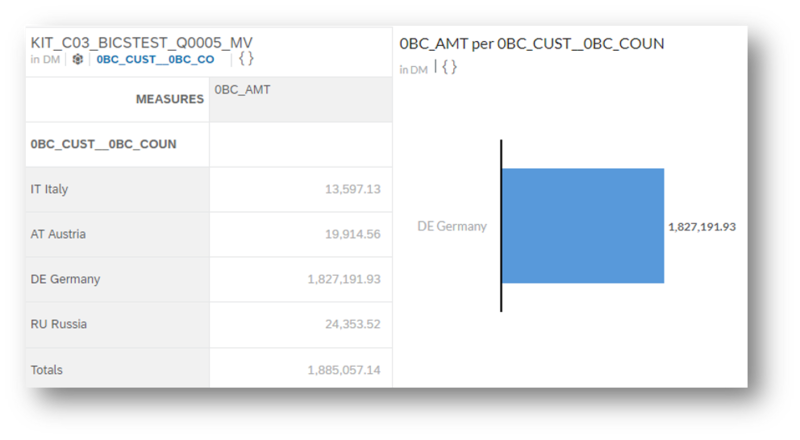 You are now able to blend live BW data models with imported data models! The SAP HANA system your SAP BW deployment is running on must have a full use license. SAP HANA systems using a Runtime Edition (REAB) license will be supported in the near future, so stay tuned! 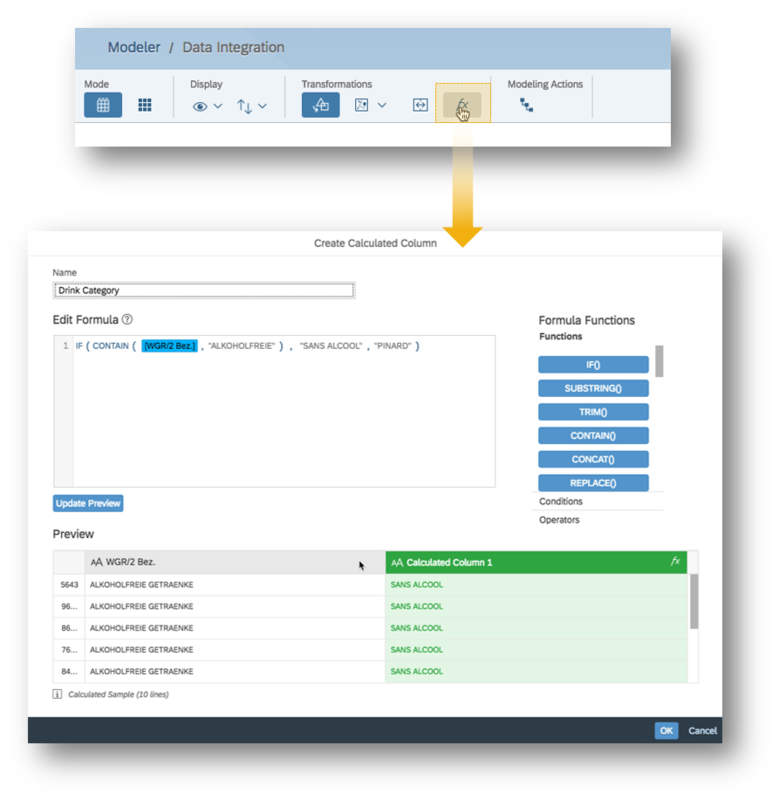 Please note that this is only supported for blending live SAP BW data models with imported data models. 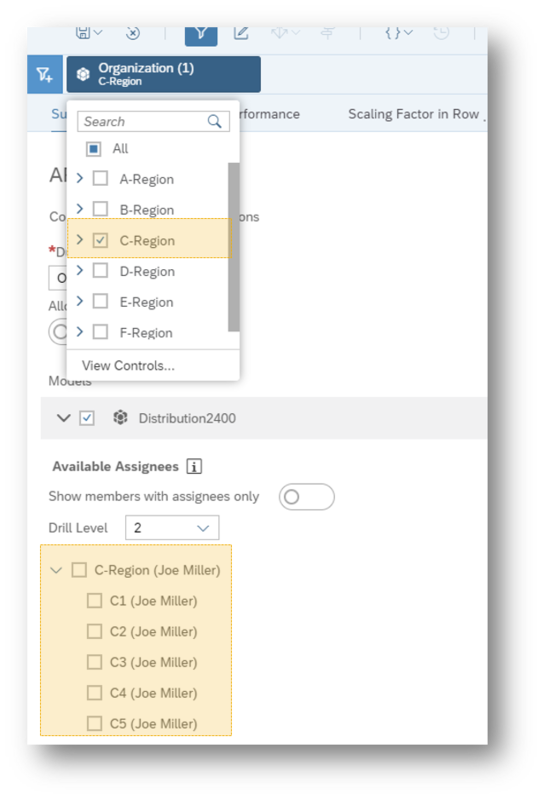 Exporting your data just got easier now that you can define reoccurring jobs for exporting transactional data to SAP S/4HANA. The feature can be accessed in the data source panel of the Modeler. 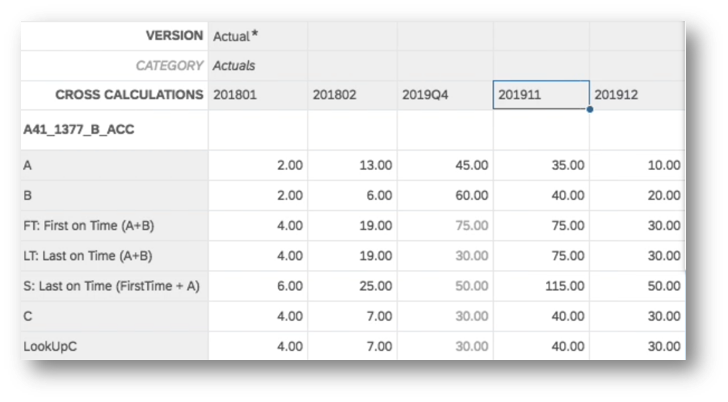 This full integration includes a history of your exports, a new “export data” section as well as the ability to view which rows have been rejected during the export. Need to make a change to your model after it’s been created? Don’t fret! For models based on imported data, you’re now able to go back to the original wrangling session and rebuild models from that step. This allows you to fix any issues during the model creation phase, though changes on productive models should be managed differently. Also, you’ll be alerted twice on the impact of the change. Upon these alerts, you may have to adjust dependent stories if entities of a model were removed. As well, all data in the model will revert to the data coming from the original query. Scheduled jobs or manually imported data will need to be reloaded. Please note that you won’t be able to rebuild a model that has currency conversion, Global Dimensions, or Private versions. Nor can you modify a model that’s being used by a value driver tree or allocations. For the moment, this capability is only for new models and only the owner of the model can perform the change. Keep your eyes peeled for upcoming improvements to this area! In data wrangling, there is now a formula editor to create calculations on columns. The formula will create a new column and results will be persisted in the model. Formulas can be edited at any time and the UI is the same one used in stories and the Modeler. The resulting column refers to the original values in the dependent columns. Changes of the original values are cascaded and you’re still able to delete dependent columns. Tap tap! That’s what you’ll be hearing once you get your hands on this new mobile-focused feature. 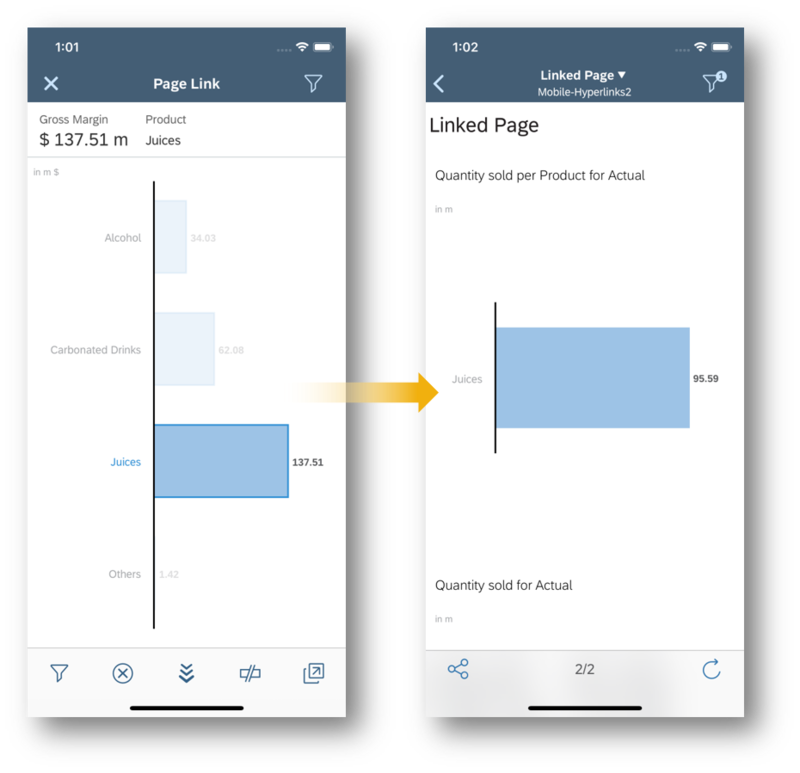 The SAP Analytics Cloud app now supports chart hyperlinks that act as dimension filters, so you’ll see a cascading effect to other filters on the destination page. This allows you to link story pages, other stories, and external URLs. We know how important it is to follow corporate standards! Story Designers now have the option to show the currency/unit and scale alongside the data in Numeric Point charts rather than just in the subtitle. There are many dividing questions in the world: pancakes or waffles? Chocolate or candy? Currency symbols on the left or right? With this update, you can now select how you want to position your currency (i.e. 30€ vs. €30) in charts, tables, and tooltips. Your subscription configuration offers additional options to display currency as symbols or ISO Codes. Keep in mind that your personal Profile Settings can override your organization’s subscription configuration. 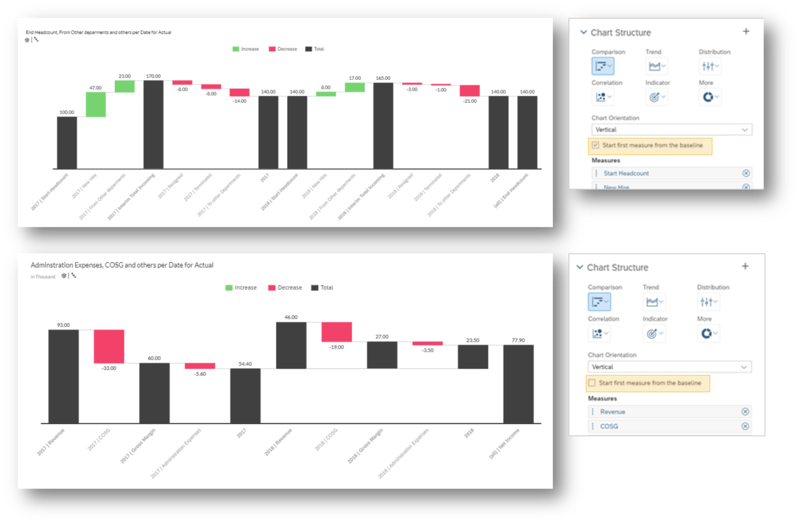 Story designers can now include two dimensions in the dimension axis for waterfall charts. The primary dimensions, also referred to the first or inner dimensions, acts as interim total, and allows you to drill up/down for both Primary and Breakdown dimensions. The breakdown dimensions, also known as the second or outer dimensions, break the chart down into further details. You can only drill up/down on breakdown dimensions. For example, drilling down on “water” will only break it down to sub-categories of water products. If the primary dimensions don’t have a root node, then the breakdown dimensions will show the delta between the primary dimension members. Please note that this is not yet supported for live BW. 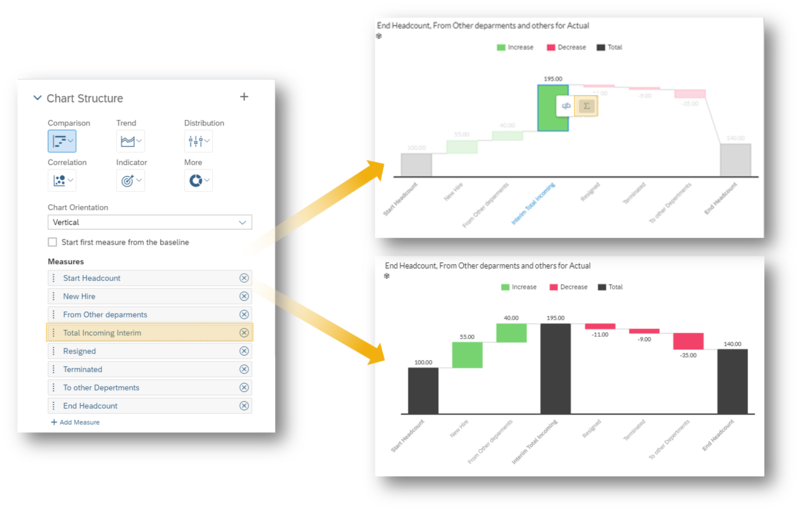 No need to be jealous of live HANA’s abilities to select interim totals because now you can do it with imported models too! Have a specific chart orientation in mind? 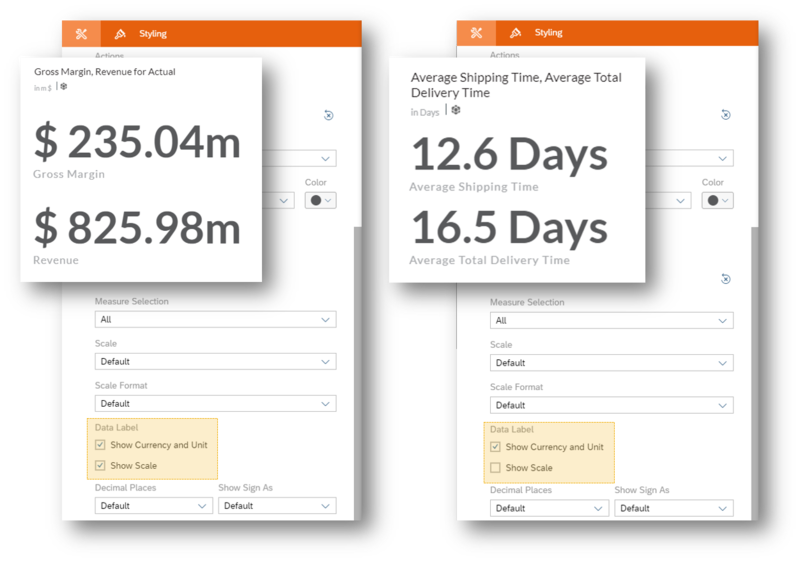 When using the dimension axis and multiple measures, you can choose whether you want your first measure to start from the baseline or have it aggregated on top of the last total. For example, you can start the measure from the baseline for non-cumulative measures such as Headcount and Inventory.